The iOttie Active Edge Bar Grip Mount For Bike And Motorcycle is our phone mount designed specifically for those with an active lifestyle! The unique bar grip design is universal and works with all range of smartphones even with their cases attached. The mount has been designed with durability and accessibility in mind. Active Edge allows for easy connection to top and bottom ports making headphone a breeze for you to listen to your music while the phone is mounted. You can rotate the device to either landscape or portrait mode which is ideal for GPS usage while you are on the move. The Active Edge is also perfect for other mobility items such as scooters, strollers, golf carts and more. Mount Smart. Adjustable arms to fit devices securely in place. Will comfortably fit devices and their cases from 2.25 inches up to 3 inches wide and up to 6.5 inches in height. 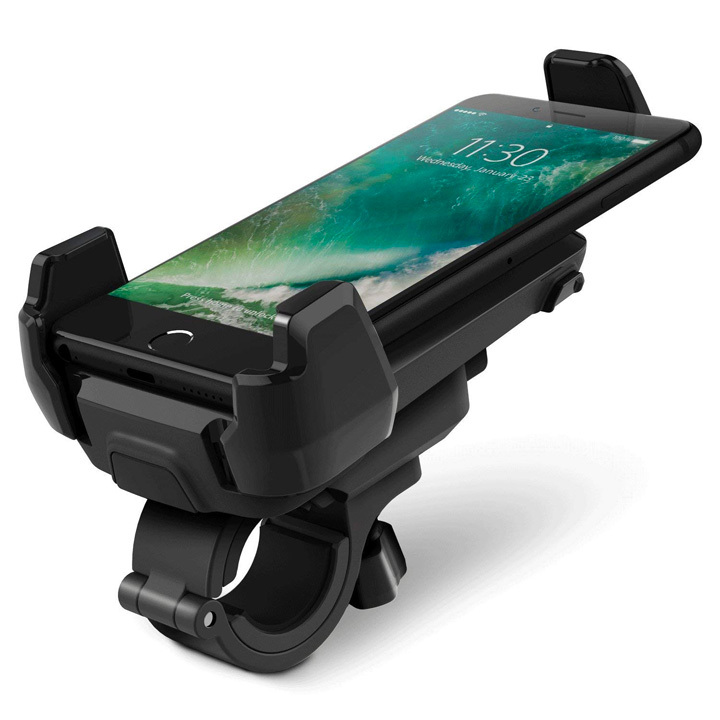 Mount can fit most cases on selected smartphone comfortably into the holder. 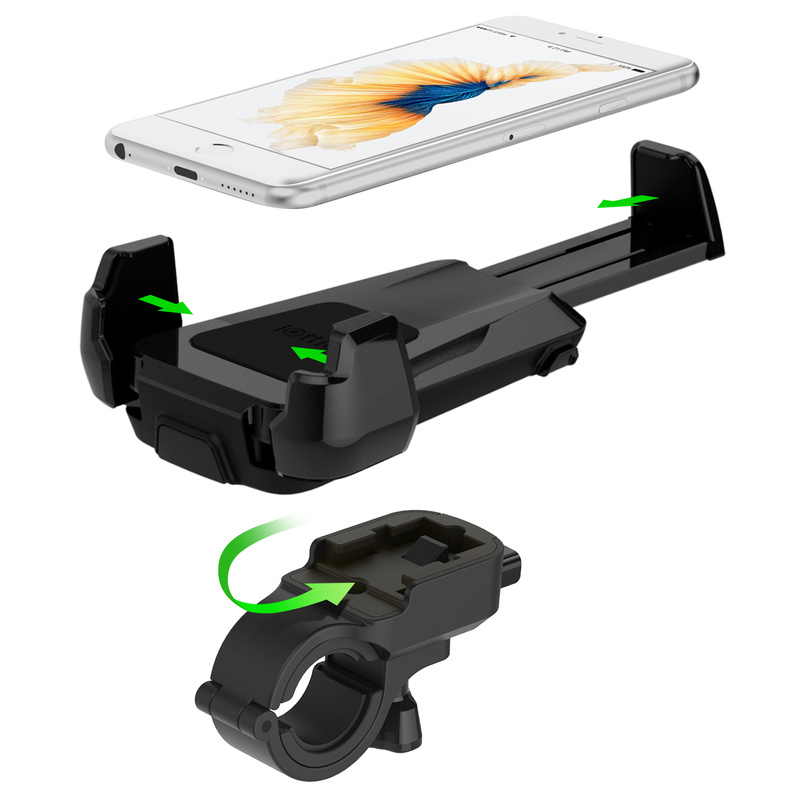 Mount your device quickly & safely in the cradle and retainer arms. Cradle covers 3 corners of your device to provide a secure fit.